I was pretty excited when Let's Encrypt began their public beta on December 3, 2015. I spent some time looking for the best client and finally got my first certificate issued on January 11, 2016 using acme-nosudo, also known as letsencrypt-nosudo back then. It was a nice solution as the source was short and sweet, and it didn't require access to the certificate private key and even the account private key was only touched by human-readable OpenSSL command line invocations. As soon as Let's Encrypt became popular, people started demanding wildcard certificates, and as it turned out, this marked the next milestone in my ACME client stack. On March 13, 2018, wildcard support went live, and I started doing my research again to find the perfect stack. Although ACME (and thus Let's Encrypt) support many different methods of validation, wildcard certificates could only be validated using dns-02. This involves the ACME API giving the user a challenge, which must be later returned in the TXT record of _acme-challenge.domain.tld thus requires frequent access to DNS records. Most solutions solve the problem by invoking APIs to the biggest DNS provider, however, I don't use any of those and have no plan on doing so. Fortunately, one day I bumped into acme-dns, which had an elegant solution to this problem. Just like http-01 and http-02 validators follow HTTP redirects, dns-01 and dns-02 behave in a similar way regarding CNAME records. By running a tiny specialized DNS server with a simple API, and pointing a CNAME record to a name that belongs to it, I could have my cake and eat it too. I only had to create the CNAME record once per domain and that's it. 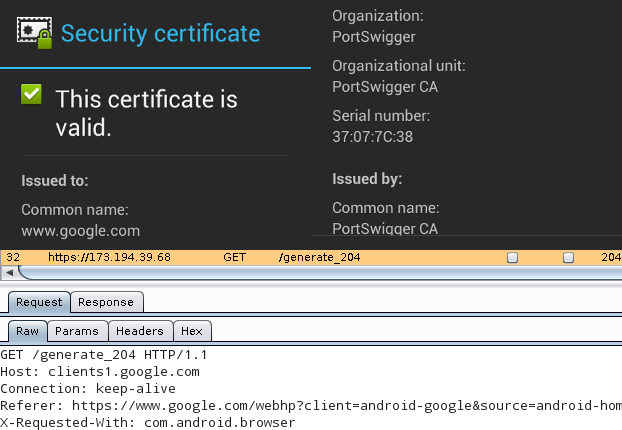 The next step was finding a suitable ACME client with support for dns-02 and wildcard certificates. While there are lots of ACMEv1 clients, adoption of ACMEv2 is a bit slow, which limited my options. Also, since a whole new DNS API had to be supported, I preferred to find a project in a programming language I was comfortable contributing in. This led me to sewer, written in Python, with full support for dns-02 and wildcard certificates, and infrastructure for DNS providers plugins. Thus writing the code was pretty painless, and I submitted a pull request on March 20, 2018. Since requests was already a dependency of the project, invoking the acme-dns HTTP API was painless, and implementing the interface was pretty straightforward. The main problem was finding the acme-dns subdomain since that's required by the HTTP API, while there's no functionality in the Python standard library to query a TXT record. I solved that using dnspython, however, that involved adding a new dependency to the project just for this small task. By pointing all the CNAME records to the same acme-dns subdomain, I could hardcode that, and even though there's an API key, I also set acme-dns to listen on localhost only to limit exposure. By specifying the ACME_DIRECTORY_URL optional argument in the sewer.Client constructor, the script can easily be used on the staging Let's Encrypt infrastructure instead of the production one. Also, at the time of this writing, certificate_key is not yet in mainline sewer, so if you'd like to try it before it's merged, take a look at my pull request regarding this. My wife bought a Singer XL-1000 for 20% the original price, since the LCD was taking touch input offset by such an amount that most of its functionality was unreachable. The previous owner coudln't fix the problem and was glad that someone took the machine away, and we were glad that we could buy a machine at a price point lower than what such a machine would worth for us as a hobbyist tool. Turn off the machine, if it's on. Push the start/stop switch (⬆) and while pressed, turn on the machine, and release the switch only after the welcome screen has appeared. Push the reverse feed stitching switch (↷) and while pressed, touch the screen and then release the switch. Now you're in screen calibration mode. A dot appears on the left, touch it as accurately as you can (for example by using a plastic fork gently). The dot will reappear on an other spot, repeat the above three times. After the fourth dot disappears, the screen will look empty. In this mode, wherever the screen is touched, a pixel appears. It's like a simple drawing program, but it also makes it possible to test whether the touchscreen works properly. Now the important final step: touch the utility button in the lower left corner of the screen, which saves the calibration data and confirms it with a beep. After this, the service mode UI apperas with numbers in frames, but you can just quit by turning the machine off. Turning the machine on without any button being pressed at the same time resumes normal operation. Below are two images I cleaned up from the service manual that indicate the two steps necessary to enter the calibration mode. I've spent my last 20 years learning about and playing with stuff that has electricity in them, and this led me into two communities: the one of hackers, and the one of ham/amateur radio enthusiasts. Although I managed to get closer to the latter only in the last 10 years, I found lots of similarities between these two groups – even though most people I know that belong to only one of these groups would be surprised at this thought. The two communities started having a pretty big overlap in the last decades, especially with the widespread availability of Software Defined Radio (SDR), most notably RTLSDRs, an unintended feature of cheap DVB-T dongles with Realtek chipsets. This put radio experimentation within reach of hackers and resulted in unforeseen developments. In a guest rant by Bill Meara, Hack-a-Day already posted a piece about the two communities being pretty close back in 2013, and there are a growing number of people like Travis Goodspeed who are pretty active and successful in both communities. Let's hope that this blog post will encourage more members of each community to see what the other scene can offer. In the sections below, I'll try to show how familiar “the other side” can be. There are subsets in both groups defined by skill and/or specific interests within the scene, which map quite nice between these two groups. On the one hand, those who master the craft and gain experience by making their own tools are held in respect: real hackers (can) write their own programs, and real ham radio enthusiasts build their own gear. Even though, in both scenes this was a big barrier to entry historically, which is getting easier as time goes by – but this is exactly why those who still experiment with new methods are usually respected within the community. On the other hand, people whose sole method of operation is by using tools made by other people are despised as appliance operators in radio and script kiddies in hacker terms. There are virtual environments that mock the real world technology, many hackers and ham radio operators have mixed feelings towards games like Uplink and apps like HamSphere respectively. Some say it helps to spread the word, some question their whole purpose. Trolls can be found in both groups, which can hurt the most when newcomers meet this subset during their first encounter with the community. A close, somewhat overlapping group is those who deliberately cause disruptions for others: signal jamming is pretty similar to denial of service (DoS) attacks. Most members of both communities despise such acts, which is especially important since the relevant authorities are often helpless with such cases. Of course, this also leads to the eventual forming of lynch mobs for DoS kiddies and signal jammers alike. Mysteries permeate both scenes, resulting in data collection and analysis. Ham radio enthusiasts monitor airwaves, while hackers run honeypots to gather information about what other actors, including governments, corporations, and people are up to. Campfire talk about such projects include subjects such as numbers stations and the Equation Group. Although for different reasons, but in both fields, armed with knowledge and having the right equipment can help a lot in disaster scenarios, resulting in subscenes that deal with such situations, organizing and/or taking part in field days and exercises. Of course, both subscenes wouldn't be complete without the two extremes: people who believe such preparation is unnecessary, and people who falsely believe they're super important with imaginary (and sometimes self-made) uniforms, car decorations, reflective vests, etc. Some people are fascinated by artificial limitations, treating them as challenges. In the hacker community, various forms of code golf aim at writing the shortest computer code that performs a specific task, while ham radio operators experiment with methods to convey a message between two stations while using a minimal amount of transmit power, such as WSPR or QRSS. Although not strictly part of the hacker community, demoscene also thrives on such challenges with demos running on old hardware and intros being limited to a specific amount of bytes (such as 32, 256, 4k, 64k). While artificial limitations may seem competitive in themselves, some people get almost purely focused on competitions. Hackers have their wargames and capture the flag (CTF) events, while ham radio operators have various forms of contests, typically measuring the quantity and quality (such as distance, rareness) of contacts (QSOs). And in both cases, there are people who consider competitions the best thing in the hobby, there are those in the middle, considering it as a great way to improve your skills in a playful way, and of course, some question the whole purpose and feel that competitions like these are the reason why we can't have nice things™. Both communities have people who prefer low-level tinkering. Some hackers like to jump deep into machine code and/or assembly, while some ham radio operators (especially in the QRP scene) prefer sending and receiving Morse code (CW) transmissions. Also, hackers and amateur radio enthusiasts alike have quite a few members (re)discovering, fixing and hacking old hardware, usually for no other obvious reason than “because I can”. In both groups, outsiders sometimes don't really understand, why anyone would do such things nowadays, while the real fans ask back “why not”. Sharing knowledge is at the core of both communities, there are online and AFK meetups where anyone can show what they did, and newcomers can join the scene. In most places I know, these groups work in a meritocratic manner, focusing more on the technical content and less on people stuff. And this is important because both communities deal with things where having a local group of peers can help individual development a lot. Sharing knowledge also means that both communities build a lot on and publish a lot of free software (FLOSS, free as in free speech). Most hackers nowadays have a GitHub repository with a subset of their projects published there, while ham radio constructors usually publish schematics and source code for their firmware, since both communities realize that remixing and improving other people's designs can lead to awesome results. Another common core theme is searching for and overstepping boundaries and technical limitations. Just like shortwave bands given to amateur radio operators since professionals at the time considered it unusable, people considered buffer overflows as simply bugs rather than a possible method of arbitrary code execution. In both fields, talented members of the respective communities managed to disprove these statements, leading to technical development that benefited lots of people, even those outside these groups. Both communities are centered around activities that can be done as a hobby, but also offer professional career paths. And in both cases, many technical developments that are used daily in the professional part of the scene started out as an experiment in the other, hobbyist part. Also, becoming a successful member of each community is pretty much orthogonal with having a college/university degree – that being said, such institutions can often give home to a small community of either group, examples at my alma mater include HA5KFU and CrySyS. Activities of both groups is a common plot device in movies, and because of limited budgets and screentime, their depiction often lacks detail and sometimes even a slight resemblance to reality. This results in members of these communities having another source of fun, as collecting and pointing out such failures is pretty easy. For example, there are dedicated pages for collecting movies with characters using ham radio equipment and the popular security scanner Nmap alike. The Chaos Communication Camp was even better than four years ago, and for those who were unable to attend (or just enjoyed the fresh air and presence of fellow hackers instead of sitting in the lecture room), the angels recorded and made all the talks available on the camp2015 page of CCC-TV. I compiled two lists, the first one consists of talks I attended and recommend for viewing in no particular order. Two members of CCC Munich – a hackerspace H.A.C.K. has a really good relationship with – presented Iridium Hacking, which showed that they continued the journey they published last December at the Congress. It's really interesting to see what SDRs make possible for hackers, especially knowing that the crew of MuCCC was the one that created rad1o, the HackRF-based badge they gave to every attendee. Speaking of the rad1o, the talk detailing that awesome piece of hardware was also inspiring and included a surprise appearance of Michael Ossmann, creator of HackRF. I only watched the opening and closing ceremonies from recording, but it was worth it. If you know the feeling of a hacker camp, it has some nice gems (especially the closing one), if you don't, it's a good introduction. Mitch Altman's talk titled Hackerspace Design Patterns 2.0 also appeals to two distinct audiences; if you already run a hackerspace, it distills some of the experience he gathered while running Noisebridge, if you don't, it encourages to start or join one. It was followed by a pretty good workshop too, but I haven't seen any recording of that yet. Like many others, my IT background covers way more than my hardware DIY skills, so Lieven's practical prototyping primer gave me 50 really handy tips so that I can avoid some of the mistakes he made over the last 10 years. Last but not least, now that analog TV stations are being turned off in many countries, Elektra's talk titled Freifunk in TV-Whitespace shows not only solutions for transverting Wi-Fi signals into the 70 cm band, but also many advantages to motivate hackers doing so. The second list consists of talks I didn't attend but am planning to watch now the camp is over. Since my FFmpeg recipes post I've been using FFmpeg to process videos recorded at H.A.C.K. talks and workshops, and I needed an easy way to inject my own code into the pixel pipeline. For such tasks, I prefer stdio since there are APIs in every sane programming language, and the OS solves all the problems regarding the producer–consumer problem including parallelization and buffer management out of the box, while making it simple to tap into streams and/or replace them with files for debug purposes. As it turned out, FFmpeg can be used both as a decoder and encoder in this regard. In case of former, the input is a video file (in my case, raw DV) and FFmpeg outputs raw RGB triplets, from left to right, then from top to bottom, advancing from frame to frame. The relevant command line switches are the following. The simplest way to test is redirecting the output of a video with solid colors to hd as it can be seen below (input.mkv is the input file). Such raw image data can be imported in GIMP by selecting Raw image data in the Select File Type list in the Open dialog; since no metadata is supplied, every consumer must know at least the width and pixel format of the image. While GIMP is great for debugging such data, imaging libraries can also easily read such data, for example PIL offers the Image.frombytes method that takes the pixel format and the size as a tuple via parameters. For example Image.frombytes('RGB', (320, 240), binary_data) returns an Image object if binary_data contains the necessary 320 × 240 × 3 bytes produced by FFmpeg in rgb24 mode. If you only need grayscale, 'RGB' can be replaced with 'L' and rgb24 with gray, like we did in our editor. FFmpeg can also be used as an encoder; in this scenario, the input consists of raw RGB triplets in the same order as described above, and the output is a video-only file. The relevant command line switches are the following. 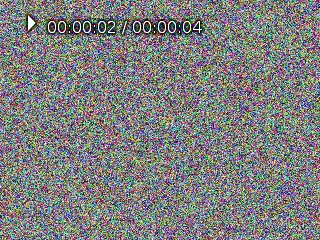 The simplest way to test is redirecting /dev/urandom which results in white noise as it can be seen below (4 seconds in the example). Below is an example of a result played in Mplayer. Having a working encoder and decoder pipeline makes it possible not only to generate arbitrary output (that's how we generated our intro) but also to merge slides with the video recording of the talk. In that case, pixels can be “forwarded” without modification from the output of the decoder to the input of the encoder by reading stdin to and writing stdout from the same buffer, thus creating rectangular shapes of video doesn't even require image libraries. I had been attending the HAM course for a month when I saw SSTV for the first time, and I really liked the idea of transmitting images over low bandwidth channels. I tried several solutions including QSSTV for desktop and DroidSSTV for mobile usage, but found slowrx to be the best of all, but it was receive-only. I even contributed a patch to make it usable on machines with more than one sound card (think HDMI), and started thinking about developing a transmit-only counterpart. My idea was to create a simple (preferably pure Python) implementation that helped me understand how SSTV works. Although later I performed optimizations, the basic design remained the same, as outlined below. The implementation relies heavily on Python generators so if you're not familiar with things like the yield statement, I advise you to read into it first. As SSTV images are effectively modulated using FM, the first or innermost phase reads the input image and produces input to the FM modulator in the form of frequency-duration pairs. As the standard references milliseconds, duration is an float in ms, and since SSTV operates on voice frequencies, frequency is also an float in Hz. As Python provides powerful immutable tuples, I used them to tie these values together. The gen_freq_bits method of the SSTV class implements this and generates such tuples when called. 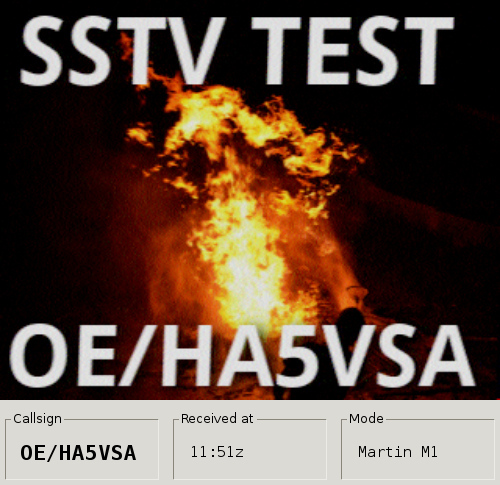 SSTV is a generic class located in the sstv module, and provides a frame for common functionality, such as emitting any headers and trailers. It calls methods (gen_image_tuples) and reads attributes (VIS_CODE) that can be overridden / set by descendant classes such as Robot8BW or MartinM1. Images are read using PIL objects, so the image can be loaded using simple PIL methods and/or generated/modified using Python code. The gen_values method of the SSTV class iterates over the values returned by gen_freq_bits and implements a simple FM modulator that generates a fixed sine wave of fixed amplitude. It's also a generator that yields float values between -1 and +1, the number of those samples per seconds is determined by the samples_per_sec attribute, usually set upon initialization. Although later I found that floats can also be used in WAVE (.wav) files, I wasn't aware of it earlier, so I implemented a method called gen_samples that performs quantization by iterating over the output of gen_values, yielding int values this time. I used quantization noise using additive noise, which introduced a little bit of randomness by the output, which was compensated in the test suite by using assertAlmostEqual with a delta value of 1. Although it was meant to be a proof of concept, it turned out to be quite usable on its own. So I started profiling it, and managed to make it run so fast that now most of the time is taken by the overhead of the generators; it turns out that every yield means the cost of a function call. For example, I realized that generating a random value per sample is slow, and the quality of the output remains the same if I generate 1024 random values and use itertools.cycle to repeat them as long as there's input data. In the end, performance was quite good on my desktop, but resulted in long runs on Raspberry Pi (more about that later). So I created two simple tools that made the output of the first two phases above accessible on the standard output. As I mentioned above, every yield was expensive at this stage of optimization, and phase 2 and 3 used the largest amount of it (one per pixel vs. one per sample). On the other hand, these two phases were the simplest ones, so I reimplemented them using C in UNIXSSTV, so gen_freq_bits.py can be used to get the best of both worlds. using inotify with the pyinotify bindings to implement a simple repeater. After having a working version, I sent e-mails to some mailing lists and got quite a few replies. First, some people measured that it took only 240 lines to implement a few modes, and I was surprised by this. HA5CBM told me about his idea of putting a small computer and camera into a CCTV case, attaching it to an UHF radio, transmitting live imagery on a regular basis. I liked the idea and bought a Raspberry Pi, which can generate a Martin M2 modulated WAVE file using UNIXSSTV in 30 seconds. Documentation and photos can be found on the H.A.C.K. project page, source code is available in a GitHub repo. Contribution came from another direction, Joël Franusic submitted a pull request called Minor updates which improved some things in the code and raised my motivation. In the end, he created a dial-a-cat service and posted a great write-up on the Twilio blog. If you do something like this, I'd be glad to hear about it, the source code is available under MIT license in my GitHub repository and on PyPI. After visiting a new hobby craft shop, we decided to create a picture frame with a seashore theme, which included a lighthouse. I thought it would be nice to include a pulsating light to make it more realistic - and providing me with a challenge while Judit did the rest of the frame. When I got my Atmel STK500, the guy I bought it from gave some AVR MCUs with it, so I preferred to use one of these instead of buying one. Based on size and the number of pins, I selected an ATtiny22, which could be used without an external oscillator at 1 MHz, which was more than enough for me. On the other hand, the ATtiny22 didn't have PWM, which meant that I had to do it from software. The hardware setup was the following. 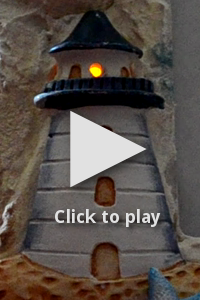 An LED was put through the lighthouse after some drilling, and the pins were routed through the frame, protected by a plastic bottle cap whose 20% was cut. The controller was put on a board with a socket on the side for the LED pins, the completely painted final version is on the right. Since I used PB0 to drive the LED, I defined the bit I had to use as LED_PIN, with the value 20 = 1. I used this first when I set the direction register (DDR) of port B to use PB0 as output. The rest of the program is an endless loop that does the pulsating in two similar phases, increasing the duty cycle of the PWM from minimum to maximum and then doing the same in reverse. I defined HOLD to 16 based on experimentation, this value determines how long the light stays at a specific brightness level, so lowering this would make the frequency of the pulsating higher. I defined the actual PWM logic in an inlined function called sw_pwm that executes an amount of NOP instructions related to the PWM duty cycle and toggles the port state using the PORTB register. Compilation and conversion to Intel hex was pretty straightforward using GCC. Flashing however required two things to be taken care of. AVRdude doesn't know about ATtiny22 by this name, however, the man page states that “AT90S2323 and ATtiny22 use the same algorithm”, so I used 2343 as the parameter to the -p (part) command line switch. As David Cook wrote on the Robot Room ATtiny tutorial, using STK500 not only requires putting the ATtiny22 into the rightmost blue socket, but two additional pins needs to be connected: PB3 to XT1 and PB5 to RST. Having done the above, the following command uploads the hex to the ATtiny. Below is a photo of the completed product, click on the image to view an animated GIF version, source code is available under MIT license in my GitHub repository. In February 2013, I wrote about replacing SMTPS (SMTP + SSL/TLS) with a local MTA, and this week, I finally managed to create a solution of my own. It's called SSH-SMTP, and it's available in my GitHub repository under MIT license. It should compile at least on Linux, Mac, and Windows, and any other OS that supports Qt. I chose C++ and Qt because it's been a while since I did anything in C++ and Qt offers a powerful signaling solution that could be used in this scenario. The core idea was to accept SMTP connections, extract the sender from the MAIL FROM command, and proxy the connection to the appropriate SMTP server over SSH. I started with a QTcpServer example on Qtforum.org, and added a QProcess to handle the SSH connection. When a new client connects, the newConnection signal of QTcpServer is fired, and the proxy sends a standard SMTP greeting. When data arrives from the MUA, the readyRead signal of QTcpSocket is fired, and at first, the proxy looks for HELO, EHLO and MAIL FROM commands. The first two are answered by a simple reply, while latter is used to determine the sender. Although some say that QRegExp is slow, I used it since it's used only once per connection, and it fits better into Qt code (for example, it uses QStrings parameters and return values). The extracted value is used as a lookup value, and I chose QSettings to store it, as it's pretty easy to use, and abstracts away OS-specific ways of persistence (for example, it uses text files on Unix-like systems, and Registry on Windows). If a valid mapping is found, the appropriate SSH command is invoked, connecting to the remote server. 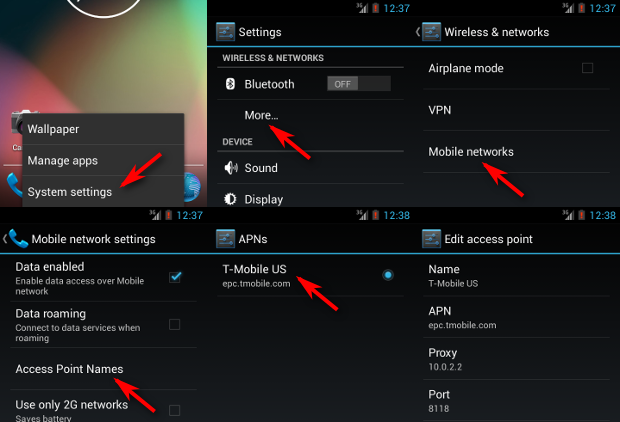 By default, ssh and nc is used, but these can be overridden using QSettings as well. After the connection to the remote SMTP server over SSH has opened, all traffic previously received from the MUA is transmitted to get the two parties sychronized. This also means that the replies to these commands must not be transmitted to the MUA, so the SMTP to MUA forwarder waits for the first line that starts with "250 " (250 and a space) and only passes on traffic received after this line to the MUA. After this is done, the proxy waits for either the TCP socket or the SSH process output to become readable, and passes data on to the other party. Also, if either one of them closes, the other one is closed as well. I've been using it for two days in production without any problems, and it finally solved both the authentication and the confidentiality problem, as I already have public key-based authentication set up on my SMTP servers, and SSH uses Diffie–Hellman key exchange by default, so I don't have to spend time configuring the TLS listener to implement PFS. Also ,sending e-mails have become significantly faster for me, as I use SSH multiplexing, so sending a new e-mail doesn't require building a new TCP connection and a TLS session above it, followed by password authentication. And as a bonus, headers in my outgoing e-mail won't contain the IP address of my notebook. Two months ago I tried testing a REST API that used OAuth 1.0 for authentication and I prefer to use Burp Suite for such tasks. My only problem was that OAuth 1.0 requires signing each request with a different nonce, so using the built-in scanner of Burp would've been impossible without Burp learning how to do it. I tried solving the problem by setting an oauth-proxy as an upstream proxy in Burp, and I even sent a patch to make it work with Burp, but I had some problems with it, and since I wanted to try Burp Extender since the day it was announced, I decided to write a Burp plugin. Although it's possible to write such plugins in Python and Ruby as well, I found that they required Jython and JRuby, which I consider worst of both worlds, so in the end, I did it using Java, the lesser of two (three) evils. I searched the web for sensible Java OAuth implementations, and chose Signpost since it had a pretty straightforward API and depended only on the Apache Commons Codec library. To meet the deadlines, I hand-crafted the HTTP parsing and generator class called BurpHttpRequestWrapper that wraps an object that implements the IHttpRequestResponse interface of Burp, and itself implements the HttpRequest interface that Signpost uses to read and manipulate HTTP requests. I also created a simple test suite using JUnit 4 that makes sure that my code doesn't break HTTP requests in any unexpected ways. Later I found out about the IRequestInfo interface that would've made it possible to use the internals of Burp to do at least the parsing part, so I started a branch with a matching name to do experimentation, although as of 12th June 2013, it doesn't work. The working version can be found in my GitHub repo, the instructions for building and configuring can be found in the README. 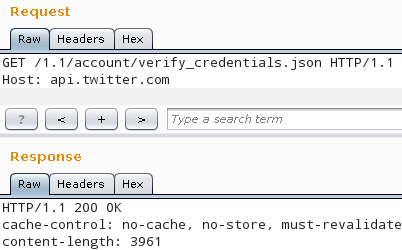 Below is an example demonstrating the verify_credentials method of the Twitter API 1.1 using the repeater module of Burp. Although the request at the top doesn't have an Authorization header, Twitter responded with 200 OK, so the plugin inserted the appropriate headers correctly. The actual header can be seen if the logging of HTTP requests is enabled in the Options > Misc tab. Although asciimoo unofficially abandoned it for potion, I've been using f33dme with slight modifications as a feed reader since May 2011. On 4th May 2013, Debian released Wheezy, so when I upgraded the server I ran my f33dme instance on, I got Django 1.4 along with it. As with major upgrades, nothing worked after the upgrade, so I had to tweak the code to make it work with the new release of the framework. First of all, the database configuration in settings.py were just simple key-value pairs like DATABASE_ENGINE = 'sqlite3', these had to be replaced with a more structured block like the one below. 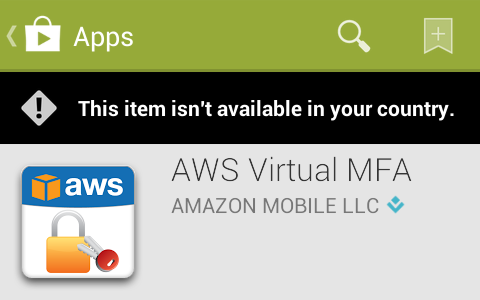 Then starting the service using manage.py displayed the following error message. has either not been installed or is abstract. Abdul Rafi wrote on Stack Overflow that such issues could be solved by adding django.contrib.auth to INSTALLED_APPS, and in case of f33dme, it was already there, I just had to uncomment it. After this modification, manage.py started without problems, but rendering the page resulted in the error message below. object has no attribute 'load_template_source'"
Searching the web for the text above led me to another Stack Overflow question, and correcting the template loaders section in settings.py solved the issue. Although it's not a strictly Django-related problem, but another component called feedparser also got upgraded and started returning such values that resulted in TypeError exceptions, so the handler in fetch.py also had to be extended to deal with such cases. With the modifications described above, f33dme now works like a charm, although deprecation warnings still get written to the logs both from Django and feedparser, but these can be dealt with till the next Debian upgrade, and until then, I have a working feed reader. A few weeks ago I updated my working directory of Proxmark3 and found that Roel Verdult finally improved the USB stack by ditching the old HID-based one and using USB CDC. My only problem was that having a device running the HID bootloader and a compiled version of the CDC flasher caused a chicken-egg problem. I only realized it when running make flash-all resulted in the following error message. I checked the flasher and found that it didn't recognize the -b command line switch because it expected a port name (like /dev/ttyACM0) as the first argument. So I needed an old flasher, but first, I checked if the flasher binary depended on any Proxmark3 shared object libraries. Since the above were all system libraries, I used an old flasher left behind from the ages before I had commit access to the Proxmark3 SVN repository. After resetting the Proxmark3, it finally got recognized by the system as a CDC device, as it can be seen below on a dmesg snippet. The only change I saw at first was that the client became more responsive and it required the port name as a command line argument. Being happy as I was after having a working new CDC-based version, I started using it for the task I had in mind, but unfortunately, I managed to find a bug just by reading a block from a Mifare Classic card. It returned all zeros for all blocks, even though I knew they had non-zero bytes. I found the bug that was introduced by porting the code from HID to CDC and committed my fix, but I recommend everyone to test your favorite functionality thoroughly to ensure that changing the USB stack doesn't affect functionality in a negative way. If you don't have commit access, drop me an e-mail with a patch or open an issue on the tracker of the project. When I created registr, I wanted a way to test it on the same RDBMS as the one I use for Redmine, MySQL. For the purposes of testing, I wanted to start a fresh instance of mysqld that could be ran without superuser privileges, without affecting other running MySQL instances, and with minimal resource consumtion. Although the test suite was developed in Python, the idea can be used with any language that makes it possible to create temporary directories in a manner that avoids race conditions and spawn processes. The code can be found in the TestRedmineMySQL class, and it follows the steps described below. Spawn the mysqld_safe binary with the following parameters.